You’ve put in a supply of pintos and Great Northern beans but you’re looking for something with a fresh appeal. A little more variety will help you sell them to others too. You don’t want appetite fatigue. There are some really beautiful beans out there, so attractive that I’d like to have them visible in glass jars just so I can appreciate their colorful variations. And there are really interesting stories about where they originated and how they got their names. How about Jacob’s Cattle beans? Or Holstein, YinYang, and Calypso? Money, Peregion, Soldier, Pink Pony, Scarlet Beauty, and Appaloosa? Some you will probably have to grow yourself to get in bulk, but there are others like Garbanzos (Chickpeas) and red beans that are readily available in grocery stores. So many cultures have devised dishes that include beans that you can do quite a bit with dried (shelled) beans. The keys will be the spices you add and the go-alongs. Take Garbanzo beans. They can be the main course in soup of course. You can make hummus, which looks more like dip than beans. Make them into a salad with this recipe. 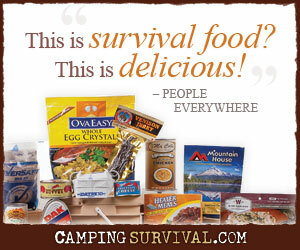 This one combines them with some more great food storage items. And for dessert, how about some cake? I didn’t want to disappoint you after that pecan pie recipe! Look around on the free recipe sites and check out a few cookbooks from the library. Then start playing around with new recipes now. You don’t want to make radical changes in your diet at a time of stress. During those times, you want interesting but familiar foods. Lots of people also eat bean sprouts and they are supposed to be very nutritious. I have no personal experience with them, so I can’t give any feedback about sprouts. That is on my list of things to try, though. I do soak my beans long enough before cooking that I often have the beginning of sprouts showing. Hopefully we get a little extra nutrition that way. I would advise setting aside some beans for planting. Most dry beans will sprout and grow if planted. That is a very economical source of seed. If you want to grow some of the more lovely exotic beans, I’d recommend rareseeds.com and or vermontbean.com. I have been pleased with both. Laura, here is a recipe we like using with Garbanzo beans: 1 can garbanzo beans, drained & rinsed. 1/2 c chopped red pepper (I sometimes substitute with cherry or grape tomatoes) 1 chopped small red or sweet onion, 1 chopped medium cucumber, 1 T balsamic vinegar, 3 T olive oil and 1/4 t each garlic powder & oregano. Salt and pepper to taste. Toss all ingredients together, chill & serve. Quite yummy in our book! Hmmmmm, that sounds good! Thanks, Marcy. Thanks for sharing that recipe- we will have to try it! We are going Moroccan in the crockpot here tonight- this recipe has red pepper, onion, raisins, tomato paste, cumin, paprika, and peanut butter. Sounds interesting, huh? We’ve never tried it before, but I can report back later. Now you’re making me hungry. I grew up with a Mother that was an extreme anti bean person. So, here I am trying to now learn everything there is to know and how to prepare beans. I have really enjoy your 5 part bean series. Will you continue? Please!! Especially with all of your recipes! I did have one bean in mind that is so pretty, that I want to buy it, but have no idea how to prepare it. A cranberry bean. I really want to include this bean in my food stores, but only if I can justify with a knowledge of how to prepare into a delicious meal for my family. I have enough “pretties” in my home. Now the “pretties” must justify a means.